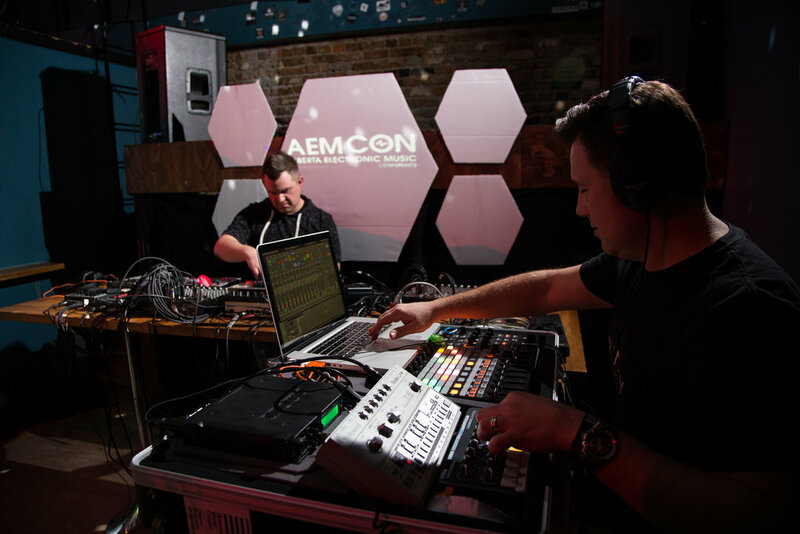 This year, the Alberta Electronic Music Conference welcomed to Calgary nearly 400 producers, promoters, music industry professionals and DJs attending from 46 cities across Canada, America, and the UK. We're are overwhelmed with gratitude for everyone who took part in this year's conference. We truly believe that if our community continues to work together, share ideas, and push electronic music culture, the possibilities are endless. As we end 2017, we wanted to share a quick recap of the event and share some photos and videos. We also want to let you know that AEMCON will definitely be returning in 2018! The core of the weekend was spread over Saturday and Sunday at the National Music Centre. With over 35 workshops, panel discussions, and interviews to take in, our days were jam-packed. Content this year as a mixture of music production mastery, business and marketing insight, and promoter/event organizer content. Our goal was to provide industry insight for all those who are involved with the industry, not just producers and DJs. 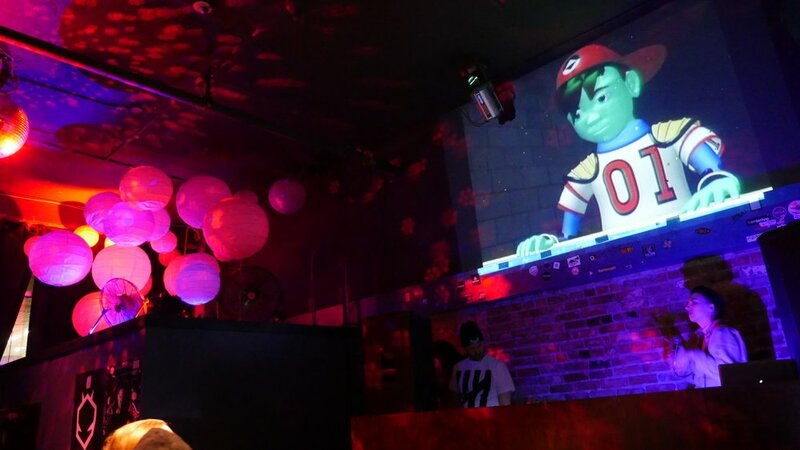 Our musical content was primarily focused on how artists can arrive at professional level results, develop their sound design and mix down skills, and build their themselves into professional artists through touring, licensing, grants, and community development. We’ve captured a number of sessions from the weekend and will be sharing them over the next few months. To start, we’re happy to share the Festival Panel, featuring Andrea Graham (Bass Coast / The Librarian), Maud Salvi (Sled Island), Jordan Smoliak (Astral Harvest), Nicole Seaboyer (Shambhala Music Festival), Baran Faber (Circle) and moderated by Joel West (Groundwerk). These are the organizers behind some of Western Canada’s most innovative and well recognized festivals, and we thank them all for their discussion into what goes into these events, how they can continue to innovate, and how artists can take part. Make sure to subscribe to our channel on Youtube or like our Facebook page to get all the sessions as they come out. With over 16 night events to choose from over the course of the week, attendees had a wide range of music and artists to take in. From the Live Electronic Showcase at Habitat to headliner shows at Hi-Fi, Nite Owl, and Broken City featuring the likes of Joe Nice, Foreign Beggers, J.Philip, the Librarian and many others. For a full list of performers, check out this page. What was most exciting for us was to see the "local artists" perform with just as much skill and creativity as the headliners. Everyone really brought their best and we couldn't have been more proud of the artists that were featured this year. In 2018 we'll continue to pair the best of Western Canada's emerging talent with inspiring names from around the world. Look out for performance info in the new year. 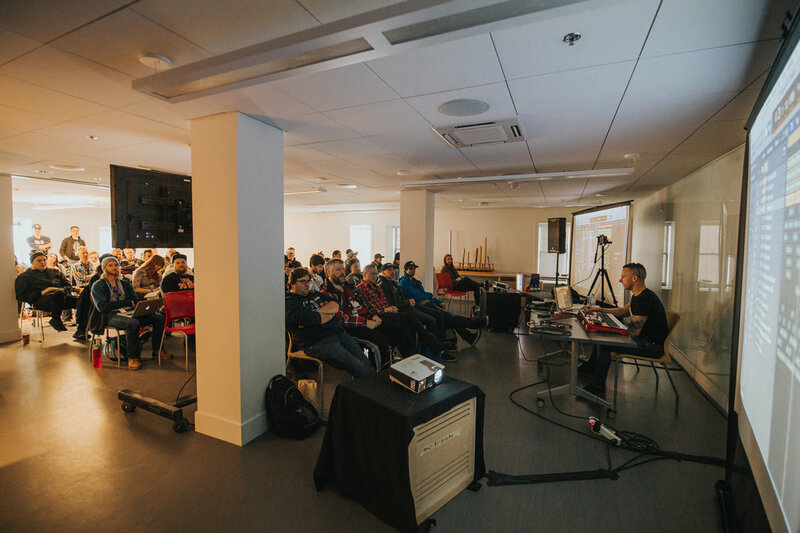 Huge thanks to our partners at The Foundation Assisting Canadian Talent On Recordings (FACTOR), National Music Centre, PK Sound, Alberta Music, Roland, Moog, Pioneer DJ, NATIVE INSTRUMENTS, Ableton, Beat Drop, BeatRoute (AB), Ticketfly, Kilpatrick Audio, Long & McQuade Musical Instruments, FREQ. Magazine, CJSW 90.9 FM, MeeBlip, iConnectivity, Dead Vinyl Society, The Hifi Club, Habitat Living Sound, Broken City, Nite Owl and BassBus. Without these organizations, our conference could not happen. Show them some love! If you are interested in getting involved next year, we're looking to work with all kinds of organizations. There will be multiple ways to get involved so please contact us with your ideas and we can start the conversation! We’re happy to confirm that we will be returning next year, sometime in November. Please sign-up for our newsletter or Facebook page to be notified when we launch dates and ticket sales in January. This event wouldn't be possible without the efforts of so many individuals, companies, and participants. Shout out to our core team: Vicki Perreault (+ Hanna Waller), Michael Benz, Shauna Applebaum, Max Martel, Jessy Gust and of course, all our amazing volunteers. You were all incredible. There are so many people to thank and we could go on all day. But for now, we'll just say we can't wait to see you all again in 2018! Learn where you can pick-up your conference pass this week! Can't make it for the whole weekend? Want to just check out our Sunday content? Grab a super cheap Sunday pass. As part of our daytime programing, we’re excited to be hosting 411 Music Group CEO Kristen Agee. As a lifelong musician who shifted into the business side of music about five years ago – starting her own company in 2012 and growing it that same year – Agee’s story is a case study in how it’s possible to make a living from doing what you love. We sat down for a quick chat with her in advance of her attendance at the Conference in November. Alberta Electronic Music: Hi Kristen. Tell us a bit about yourself. Kristen Agee: I grew up in Oklahoma first got involved with music when I took up classical violin. I played in orchestras my entire life, and when I turned 18 I moved to LA. On my last day of high school, I just packed everything up and didn’t look back. When I got to LA, I got into writing music full-time, I went to audio engineering school and learned about gear, and I started recording punk bands in a studio that I built in Silver Lake. At the same time, I was touring and played in a few bands. Then I shifted gears and started focusing on writing for film and TV. AEM: How did 411 come to be? KA: I kept finding people who were better than me – better at classical composition and orchestration, DJing, production – and so I just started working with all these different teams. I was always very entrepreneurial and I always had that in my brain, as a kid, that I would run my own thing. It's still lifelong arts, I'm still producing – I just oversee everything on a bigger scale, as opposed to being in the studio – which I miss, to be honest. AEM: What was it like, transitioning from an artist or creator's role to a more executive one? KA: It had its faults! I didn't have any direction going into this. I just did it. I've just been figuring it out as I go. I was lucky to have good creative people around me. There were definitely discouraging moments – like, what am I doing? – but on the other side of that, I kept pressing forward. Compare what I know now to what I knew 5 years ago, and it's just insanely different. It’s constantly evolving. The bigger we get, the more pressure I feel. Our composers, artists, clients and such – we're trying to do the best work that we can. AEM: Why do artists need to understand the work you do? KA: Oh my god, it's huge. Understanding what you need to make your music heard – to get it into the ears of the people through commercials, video games and such – is so important. Synchronization is the new A&R – it's what gets people excited now. Whenever you get your song onto the end credits of a primetime show, or as a bumper for a network – that can launch you into a new space as an artist. Many people don't understand it – it's a very important part of the industry. And what advice do you have for artists who want to make a living from their work? The people we work with consistently, they get it. It's the people who are new to this industry who are the most apprehensive. I'd encourage everyone to get familiar with the business side of it, to maximize your monetary growth from your craft. Fear is a big part of it. Like, "what if this becomes the next big hit? This company owns it forever." The odds of that happening are pretty slim. If you hang onto something that's great, and never do anything with it, then it'll never have a chance to become great in the public eye. Don't hold onto things, and just put them out there. Kristen will be present at AEMCON as part of our panel on the business of music and publishing. Check out our full suite of daytime programming here.